After having caught the first move op back to Delve last week I wasn’t sure what I was going to do with myself in New Eden. I haven’t ratted in over a year, and I haven’t mined in much longer than that, and have no desire to do either. When you see those Delve numbers on the monthly economic report, I contribute nothing to those two categories. Meanwhile the peace in the north has meant few strategic operation opportunities. I like strat ops because the have a goal and I am a very goal oriented person. Roaming just to roam, unless it is with Reaver, isn’t something I enjoy. Fortunately it appears that NCDot was looking out for me. It must be because I am friends with Matterall. They left a couple of Astrahus citadels in Aridia set for US time zone timers, so when a fleet went up to go shoot them I was awake and ready to go. 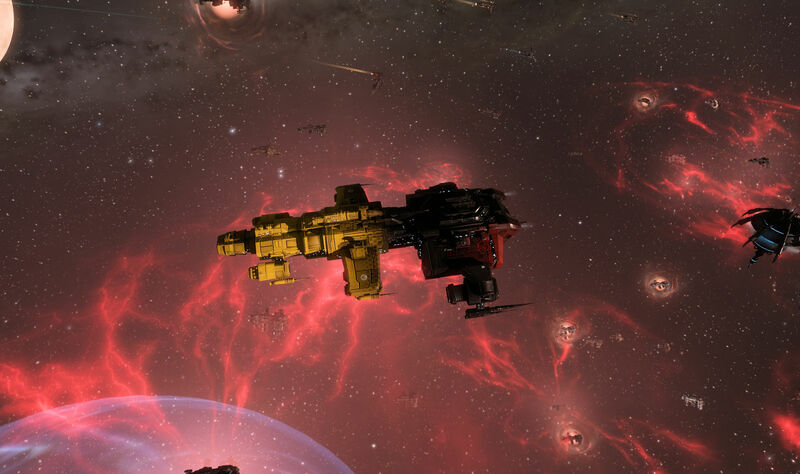 It was going to be Hammerfleet doctrine, which is built around the Ferox battlecruiser, which meant that I would get to show off the Cordite Blossom SKIN that CCP briefly offered as a fundraiser back with the September update. The fleet was under Dave Archer and, of course, he didn’t tell us what we were up to, just that it was a strat op. The presence of spies and the requirements of operation security means we rarely get told much until something is already happening. But that it was a strat op in a doctrine that is often used to shoot structures, and because there was a small carrier op under Zed Starshine going with us, it seemed like a good bet that there was a citadel out there that needed bashing. And that we took the jump bridge to 1-SMEB pretty much guaranteed it was in Aridia. So off we went, shepherding the slower carriers that would be used as the firepower for the shoot. Getting there went smoothly, except for the point when somebody in the fleet set off they cyno by accident. That sort of thing doesn’t happen as often as it could. But it was quiet enough in the area that we left him behind and he was able to catch up. The Astrahus itself was being gunned, so as we orbited the structure it threw various things at us. For the most part that kept logi awake with something to do. The unaware and incautious were in trouble however. Small stuff had to warp off to stay safe and the few people who did dumb things, like lighting their microwarp drive when a bomb was coming in, paid the price. But losses were minimal. When the heard had been culled of the incompetent the gunner started in on our drones and we had to pull those and pick up with guns. However the fighters from the carriers carried on without issue. Unfortunately, this shoot was just for the armor timer. There was no kill mail to be had. The kill was set for three days down the road. Then we moved to another system and did it all again, shooting another gunned Astrahus to take care of another armor timer. That set up another timer for a kill next week. After that it was a quick run back to 1-SMEB where the carriers could jump and we could take the jump bridge back home. So I managed to get in on at least one fleet this month and helped clean up some hostile structures. We’ll see if I remember to check for the fleet that will go get the final timers and the kills. This entry was posted in entertainment, EVE Online, Null Sec and tagged Aridia, Dave Archer, NCDot, Zed Starshine on October 6, 2018 by Wilhelm Arcturus. While I was at work the Keepstars I highlighted earlier in the week were destroyed. The EU time zone team got some shiny kills. All told that is at least a trillion ISK in losses inflicted in a single day without much in the way of resistance. The question is now what happens next in the war? 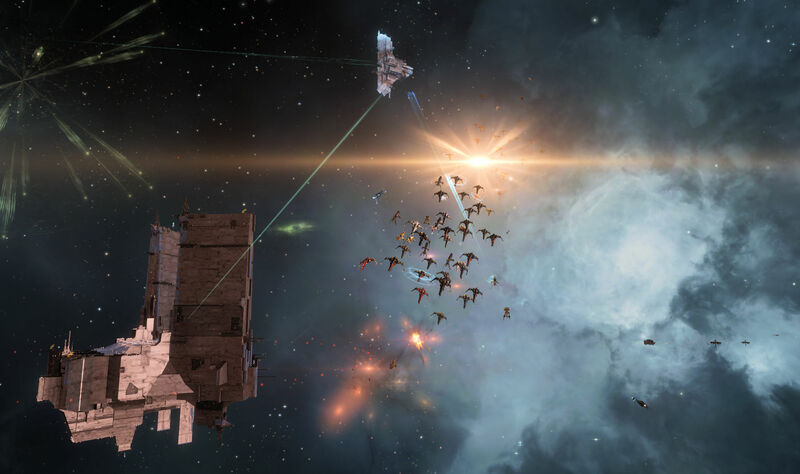 This entry was posted in entertainment, EVE Online, Null Sec and tagged Circle of Two, Darkness, Fade, Keepstar, NCDot, Pure Blind, Tenerifis on September 19, 2018 by Wilhelm Arcturus. 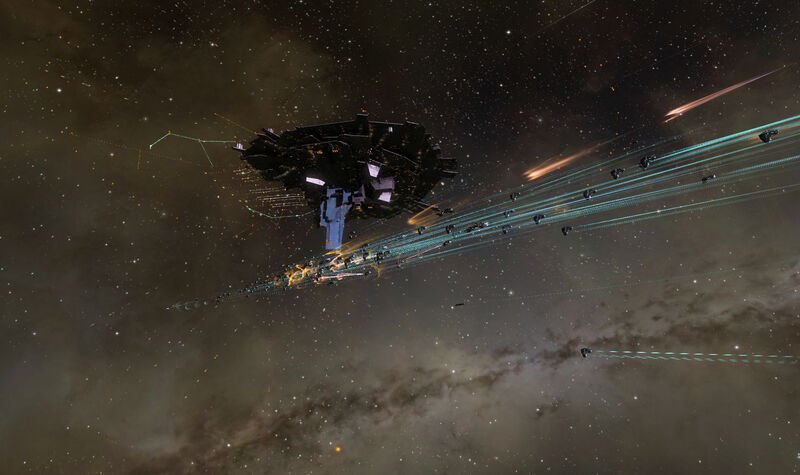 Ops have already run in order to reinforce the remaining four northern Keepstar in Fade and Pure Blind. The are scattered across two zones, so I ended up using the multi-region map for the area that is available at DOTLAN. And then I flew out to take a peek at each of them just to see where the timers stood. I have a general idea as ops area already on the calendar, but sometimes you just want to know the exact time. So off I flew, first to C4C-Z4 and the first Circle of Two Keepstar. From there I zipped over to DO6H-Q and the NCDot Keepstar. 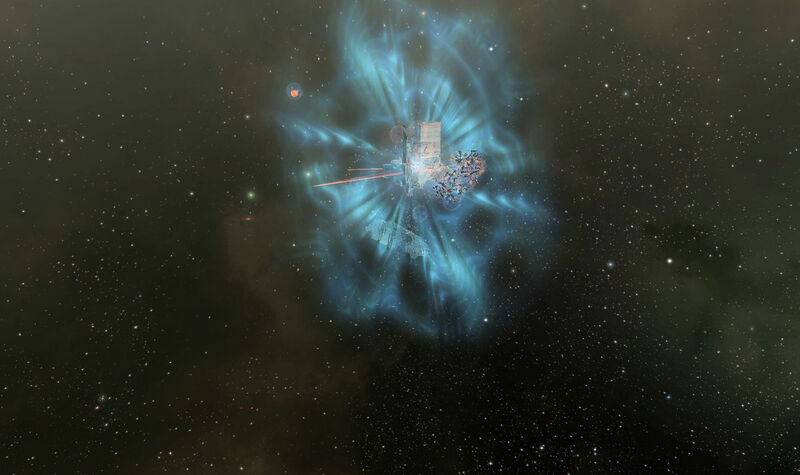 Then I headed down into Pure Blind to 3V8-LJ to find the second CO2 Keepstar. Then I made the last leg of the trip over to 7X-VKB to see the Darkness Keepstar. All four are set to go this coming Wednesday, September 19th, at various early hours of the day. At least early for me, sitting here on the West coast of the US. I doubt I will make it onto any of those kill mails. But their destruction seems inevitable as northern forces draw back deeper into their own territory. The question is whether or not there is a war once these are destroyed. I am sure there will be some lesser structures to clean out of the area. But once cleansed, the Imperium isn’t planning on moving in and they will stick around if CO2 comes back. So who will end up in Fade? 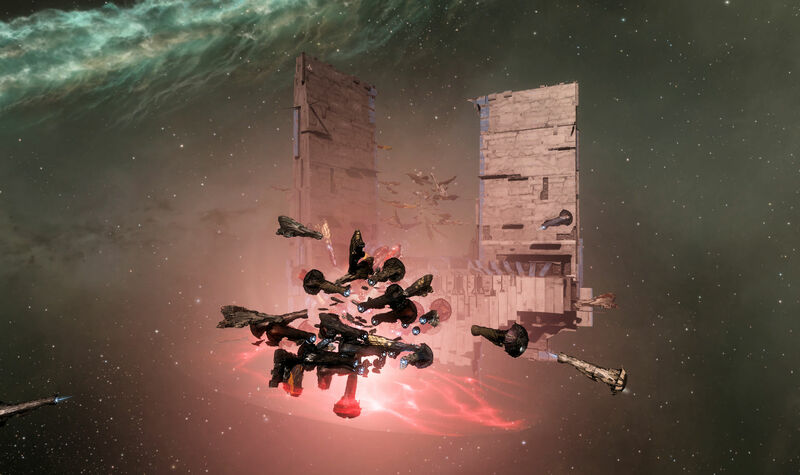 This entry was posted in entertainment, EVE Online, Null Sec and tagged C4C-Z4, Circle of Two, Darkness, DO6H-Q, Fade, Imperium, Keepstar, NCDot, Pure Blind on September 16, 2018 by Wilhelm Arcturus. But not as many as before. 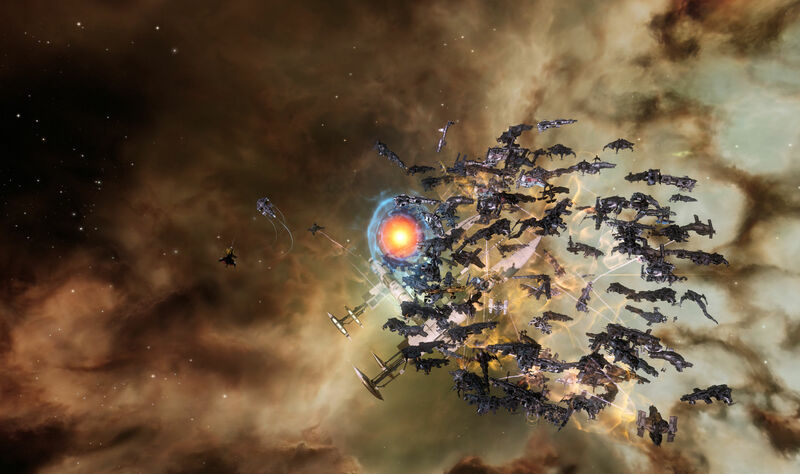 If the battle report I cooked up sufficiently reflects reality, a total of 20 titans were lost, down from the 56 destroyed last fight, with the split being 1 lost from attackers and 19 of the defenders titans being destroyed, along with the Keepstar itself. The battle report shows 2 attacking titans lost, but zKillboard doesn’t show an Avatar being lost by Wotan Oden, so something still needs to catch up. So it might be 21 titans down, with 2 lost by the attackers. 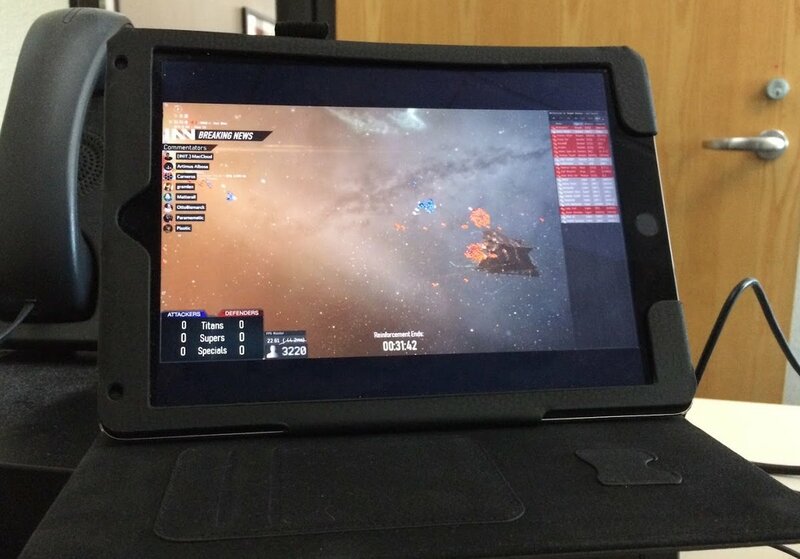 This, as I mentioned yesterday, all kicked off before I was even thinking about lunch at the office, but I brought my iPad along to stick in the corner of my desk to keep an eye on the battle. I do have to say that INN knew what data incoming views wanted to know with their overlay. 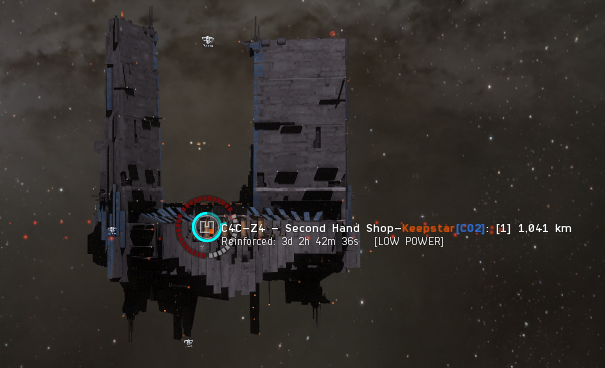 They had a counter for titans, supers, and specials destroyed, another for the local count, a count down clock for the timer itself and, once the fight started, a display showing the percentage of hull hit points left on the Keepstar. Aside from the kill counter being a bit confusing… I assumed it was counting attacker and defenders blown up, but it was counting how many ships the attackers and defenders had blown up… that was all I needed running silently at the office. Anyway, due to the above confusion about the counter I was wondering how the defenders lost a titan before the counter even finished. But it was the defenders who manager to kill a GSF Erebus that was likely bumped, ended up exposed and blown up. Then the fight actually kicked off and the counter began a lopsided swing towards the attackers. Later on I heard that one of the things learned from the first fight was positioning. To deal with the titans on the Keepstar, able to safely tether up quickly after a doomsday kill, Asher positioned our titans at the extreme edge of doomsday range. That meant of the defenders, who were all over the Keepstar, only some of them would be in range to take a shot. Unable to bring all weapons to bear on every target they were denied kills. The attackers, both larger in numbers and grouped up in a tighter ball, had no similar issue and quickly started dispatching vulnerable defending titans one after another. 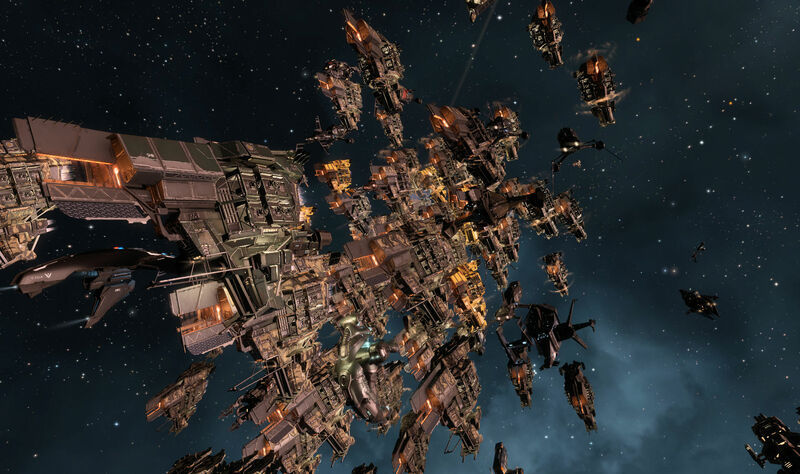 And then the DDoS attacks started, hitting Imperium coms, forcing the attackers to use text channels to coordinate targets as well as the EVE Online login server. Tranquility is currently experiencing a severe DDoS attack. The usual “Well, of course X did this…” accusations flew, as always from people who have no special insight into the issue, but this attack didn’t help either side. 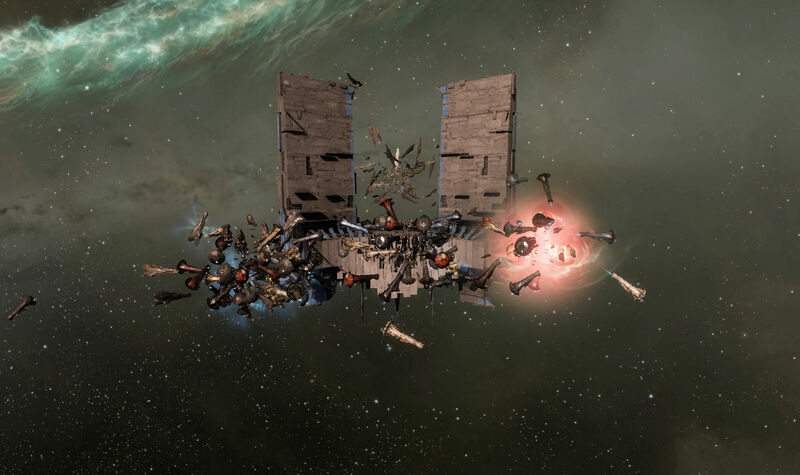 It imperiled the ability of the attackers to blow up the Keepstar and effectively ended their titan kill streak, while the defenders were unable to bring in additional titans they had staged nearby. Leadership of both coalitions were unhappy with this state of affairs. CCP Falcon got on the INN stream to talk about the situation. The stream itself was dropped from the fight several times. All of which happened while I was still at my desk at work. When I finally headed out the Keepstar was still up, but it was destroyed in the half hour it took me to get home. On arriving home I logged in my alt, pre-positioned in X47L-Q in a cloaky ship, and warped on grid to see what I could see. 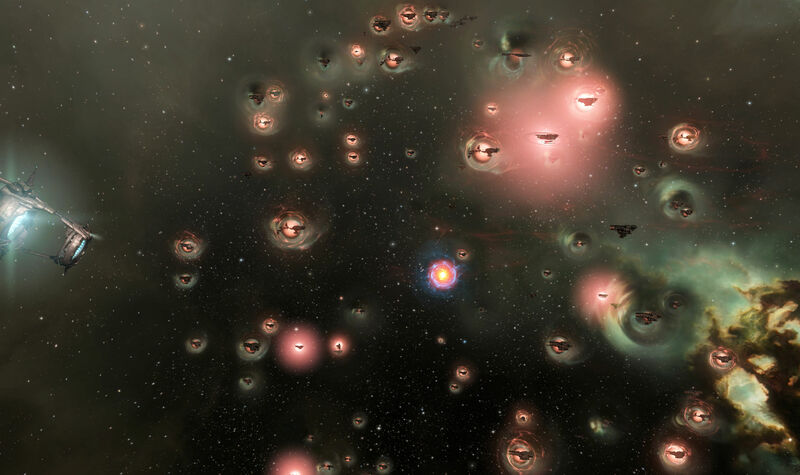 The Keepstar was gone, but the attacking titan fleet still appeared to all be on grid in the bubbles meant to keep them from warping off if they disconnected. A directional scan I did of the area showed 466 titans, 322 force auxiliaries, and 191 super carriers. A closer look at that titan blob shows the smaller capitals mixed in with them. 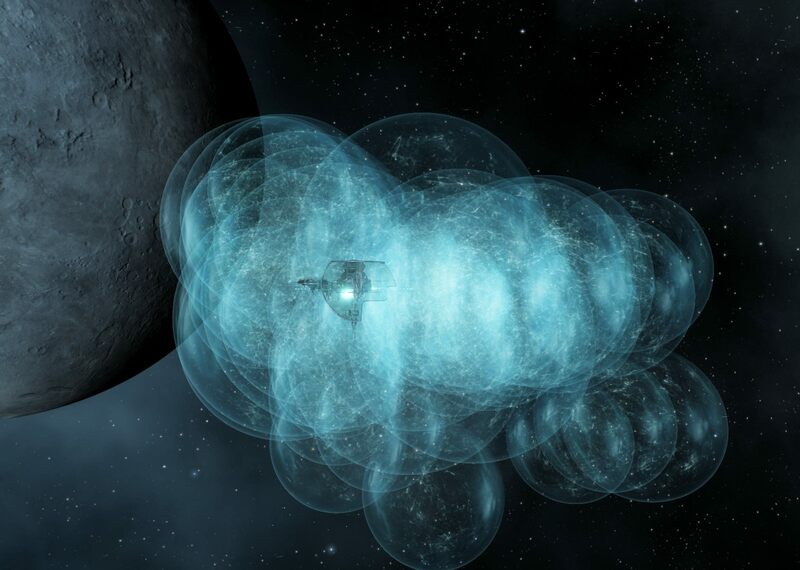 The area around where the Keepstar was located was still clearly staked out with its own array of bubbles. While there appear to be still some ships there, including several titans, those are all ghosts, either safely logged off or destroyed, but still showing up in space and on overviews due to some sort of server malfunction under the stress of load. You could not target them, though that didn’t keep every new person who showed up from thinking they could get on one last titan kill. The wrecks though, they were still there and some enterprising pilots were off to try and harvest some of the loot on field. While the battle was over there was still clean up to be done. A fresh Baltec fleet was called in 6RCQ-V to help cover the returning capitals as well as collect up stragglers and those disconnected earlier in order to get everybody home. We were bridged to the mid-point Fortizar, where titans were already beginning to collect. That Fortizar, and another not too far off, was the scene of a heavy interdictor massacre. A fleet of HICs, as they are called, was sent in to delay the incoming fleets and ended up being slaughtered. We moved on to X47L-Q where we picked up some subcaps that had been wandering around. Then we were sent out to blow up wrecks, including the wreck of the Keepstar, in order to leave nothing of value on the battlefield. Also on the list of things to blow up were friendly ships apparently adrift and not responding. The only kill mail I was on for the battle was an allied Archon. Again, we were not leaving anything behind, including free kills. Then we headed back to the Tosche Station Fortizar and got a bridge back to the mid-point where we had to wait for 25 minutes due to jump fatigue. While CCP cut back on those timers, jumping four times during a short period still leaves you with some down time. So we got to sit and watch out bridging titan change the SKINs on his Ragnarok. When the time finally came we jump we were out and able to dock up. 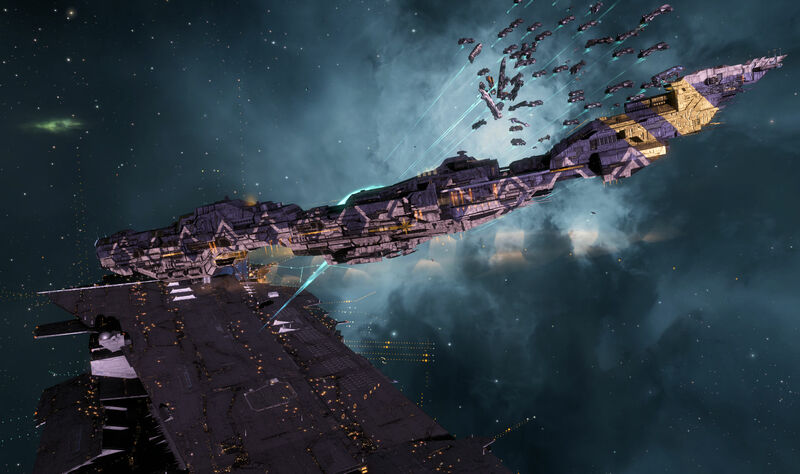 That was the end of the battle, with the current battle report numbers indicating that it cost the defenders about two trillion ISK. The battle report has about 100 individuals from various third party groups, but their losses do not add up to much so I left them on the Imperium side of the chart. 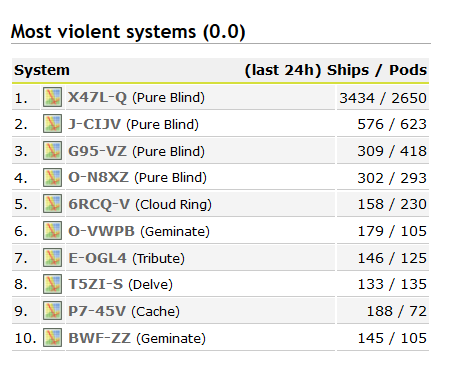 Naturally, with this big of a fight the DOTLAN stats show X47L-Q as the most violent null sec system in the last 24 hours. Pure Blind got the top four spots. The next two systems are on the way to X47, so are likely people getting blown up coming or going, while the final slot is our mid-point system where all those HICs died. So that was that, the latest battle in the war of the Keepstars. The war is not over. 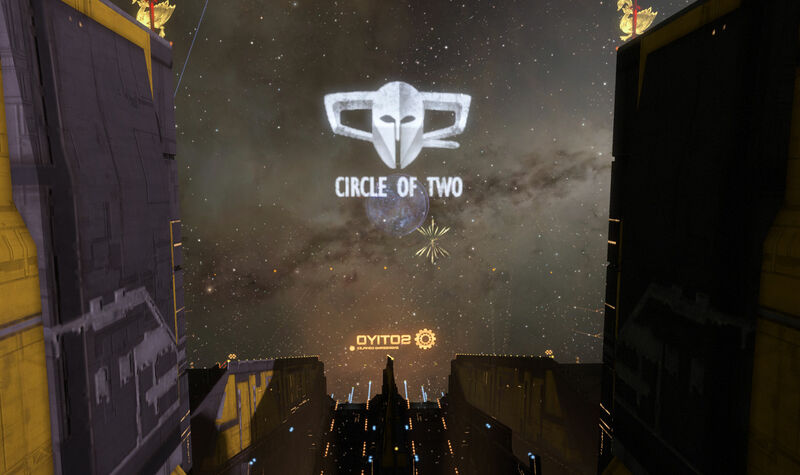 There are certainly more citadels to assail, including the Circle of Two Keepstar in DW-T2I. I don’t think the Imperium will be satisfied or think about turning for home until at least that has been destroyed. 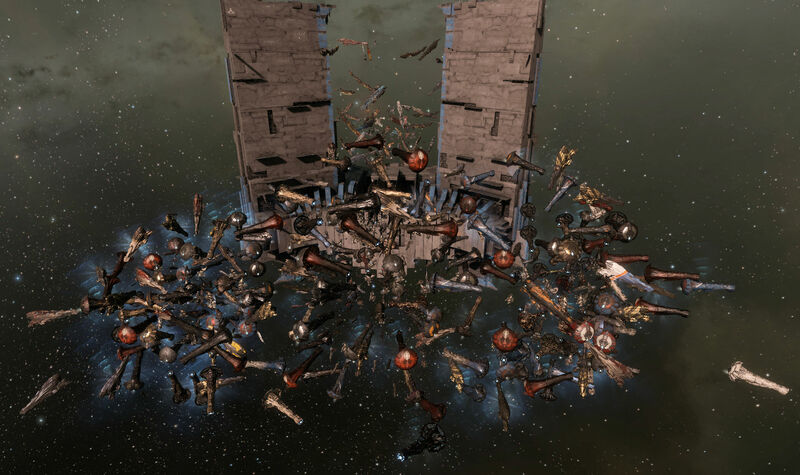 This entry was posted in entertainment, EVE Online, Null Sec and tagged Keepstar, NCDot, X47L-Q on August 9, 2018 by Wilhelm Arcturus. The north has been simmering since last week’s titan destroying battle in X47L-Q. 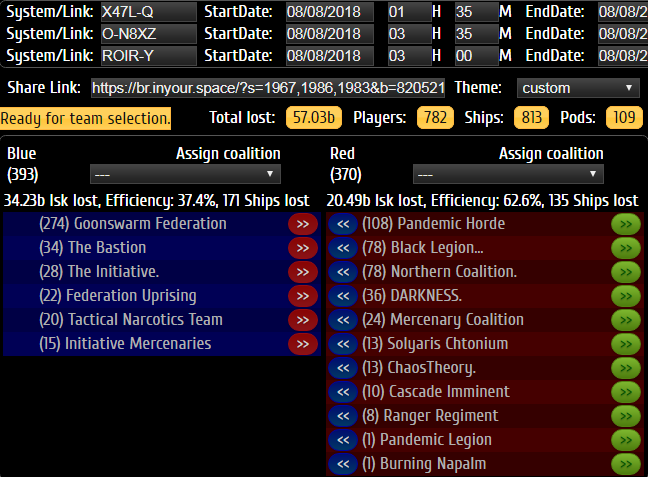 That fight was just the penultimate round for the NCDot Keepstar in the system. The armor timer was beaten, leaving open to opportunity to destroy the giant citadel today. Preparations for what might be the final battle over the station have carried on since. 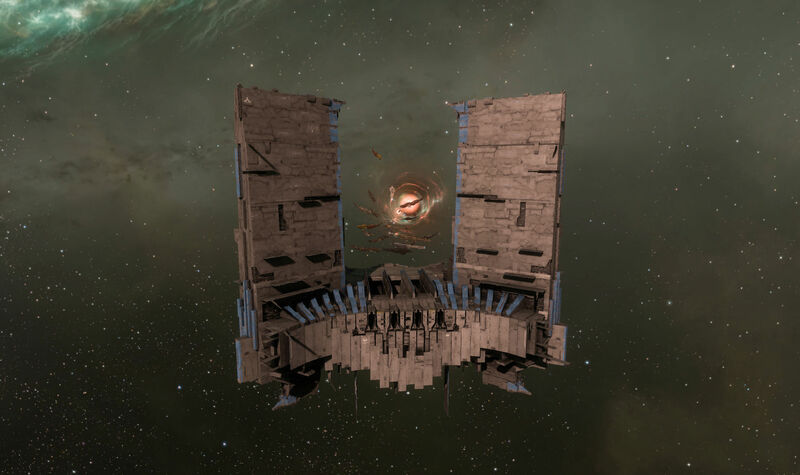 I mentioned an operation that we ran on Saturday to cover the deployment of a Fortizar in X47L-Q on the same grid as the Keepstar. That set a three day timer before it would be set. The deployment timer for that came due last night and we formed up to cover it again, this time to see that it went online. 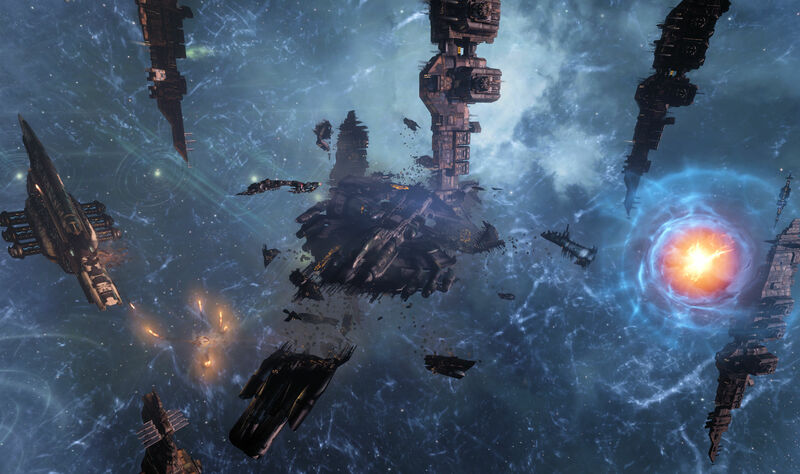 Two subcap fleets were called up, a Baltec fleet under Thomas Lear and a Cerberus fleet under Asher Elias. I already had a Scimitar to fly logi for Cerbs from a fleet the night before, also to cover a citadel coming online, so I went with Asher’s fleet. 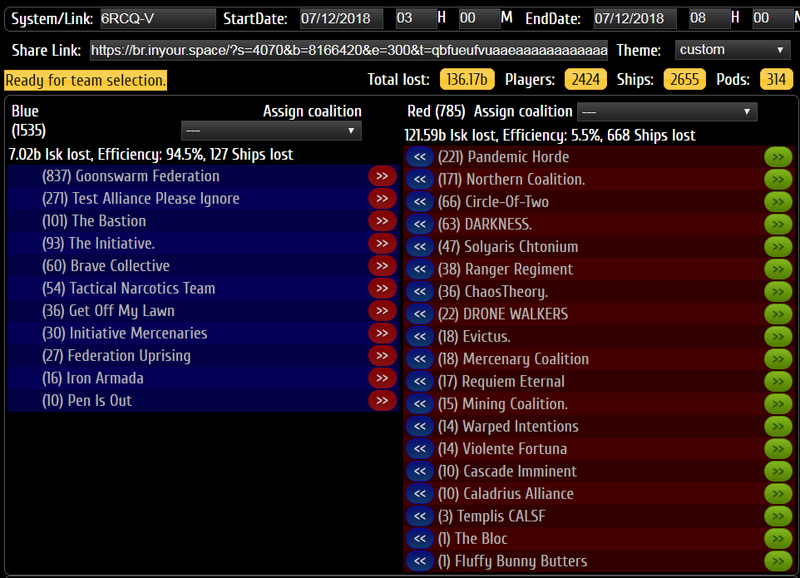 Both subcap fleets were bridged to a mid-point system early to wait on citadel until the timer hit. The subcap fleets hung there with the capital fleet that was also called up. We were serious about getting this Fortizar online, so there were titans, super carriers, and faxes out for the fleet. I had an alt in X47L-Q cloaked up on grid with the Keepstar and our Fortizar in order to see what was going on. Watching the system, it did not seem to be as active as one might expect if a battle were expected. There were fewer than 150 people in the system, many of them Imperium pilots. We had plenty of eyes on things. The count in the system went up as the timer transition moved closer. 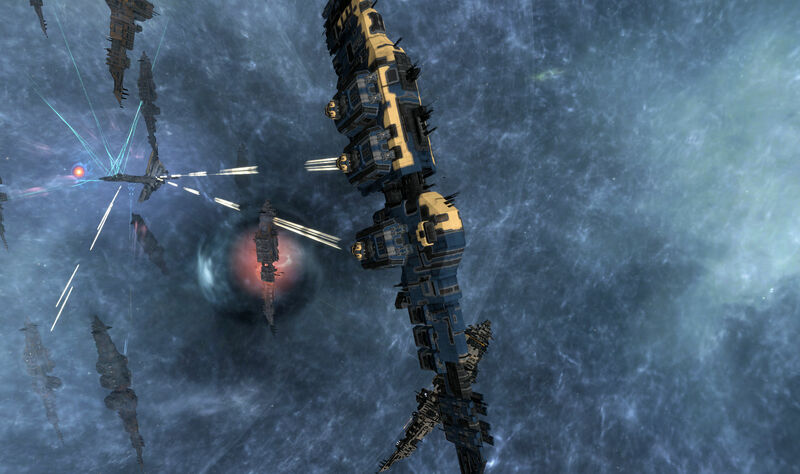 First Black Legion arrived with a fleet of Muninns led by Elo Knight, followed by NCDot and their own Muninn fleet. 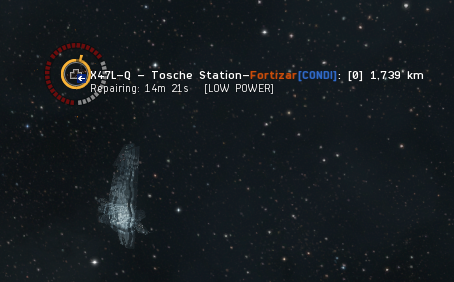 Local moved above the 500 mark, and then the Fortizar anchored and began its 15 minute repair cycle. The locals put their Munnins in range of the Fortizar and opened up, pausing the timer easily enough. But the cyno for us went up shortly and we jumped in, docked up, then undocked to get around the tether delay, the headed on out towards the Munnins. The Baltecs were there as well, along with a bomber fleet under Dabigredboat and the capitals, so the Munnins withdrew after a short clash. We moved back to the Fortizar to tether up and keep an eye on things. 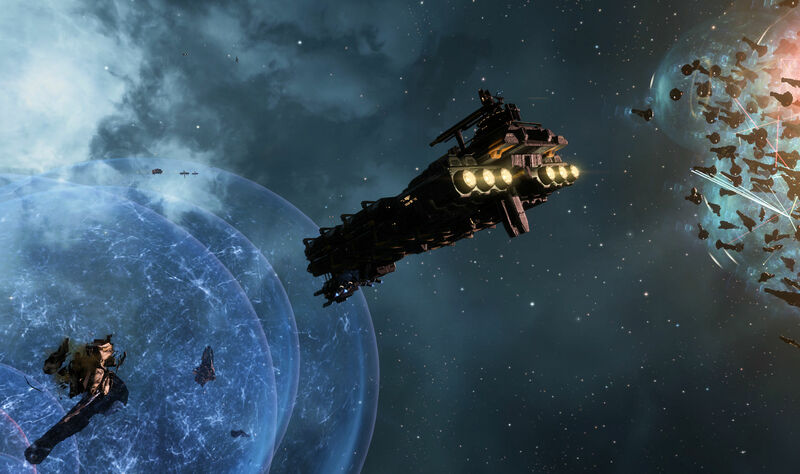 Asher told us then that Zungen from Black Ops had decided to try and start anchoring another Fortizar, no doubt hoping that all eyes would remain locked on X47L-Q. 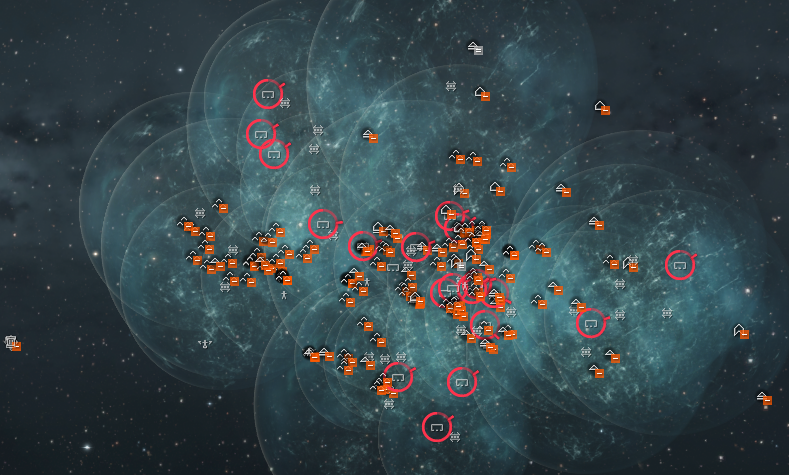 However the locals could see that we were serious, with caps on field, something they didn’t seem keen to counter at the moment, so the Black Legion fleet broke off and went to kill Zungen’s Fortizar. At some point, as we hung on tether, a Minokawa force auxiliary of ours ended up on the Keepstar. 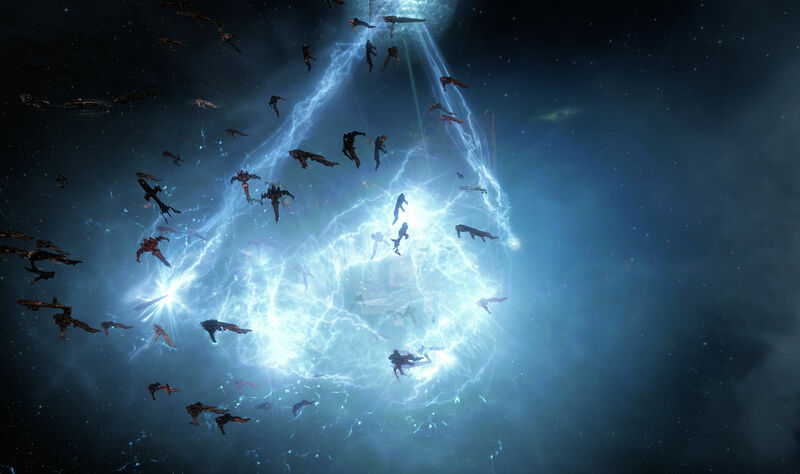 Asher had us align and we warped in to try and shepherd it to safety, but we arrived just in time for the Keepstar doomsday to hit. Cerbs caught in the arc… also, Caroline’s star! We lost a couple of ships in the fleet, but the brunt fell on the Minokawa, which began to come apart. A few of the locals in the NCDot Muninn fleet, which stayed behind, got in range to get on the kill. 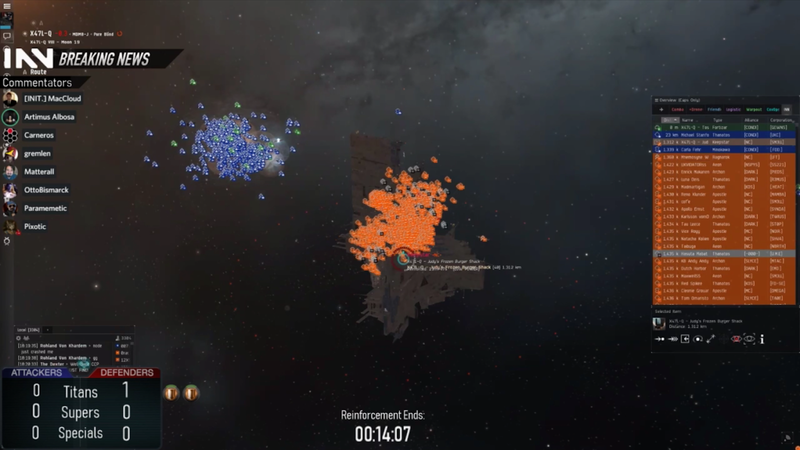 We were able to return the favor by popping some of them, but the Minokawa exploded all the same, the Keepstar having done 99% of the work. During that exchange the hostiles managed to headshot Asher, blowing up his Phantasm, despite logi getting reps on him right away. We went to a backup anchor, The Pink Pansy, and shot a few more hostiles before everybody withdrew to their citadels to tether up. Asher was able to reship into a Sleipnir and carried on leading the fleet from that. Meanwhile, a few systems over, Zungen’s Fortizar was destroyed, so the locals got their success for the night. 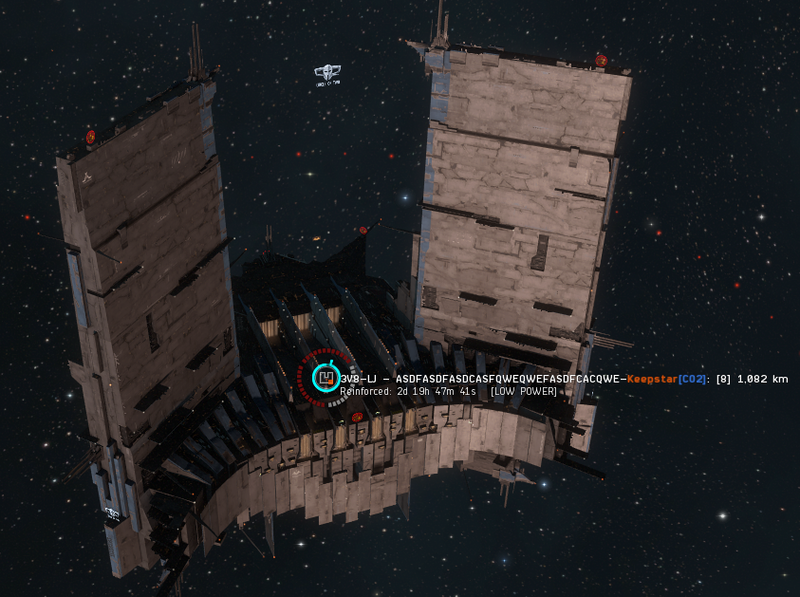 Well, they got the Fortizar and slaughtered a host of bombers that flew over to try and defend the citadel. 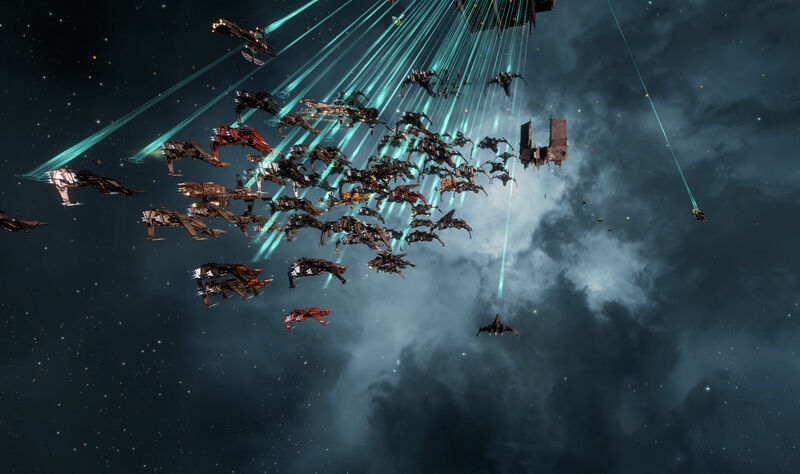 When the repair timer on the Fortizar in X47L-Q finished up and the citadel was secure, the subcaps headed out to see if we could catch the hostiles from the other fight. We ended up behind them, catching up with them on the gate in O-N8XZ, where a few shots were fired and a couple of ships exploded, but no decisive clash took place. When that had peter we headed to one of our citadels to sit with the capitals while their jump timer cleared. When the capitals were ready to go they began jumping back to our Keepstar in 6RCQ-V. We were bridged back as well and docked up. The operation was over, lasting a little over 100 minutes from form up to dismissal. Operationally, we accomplished what we set out to do. 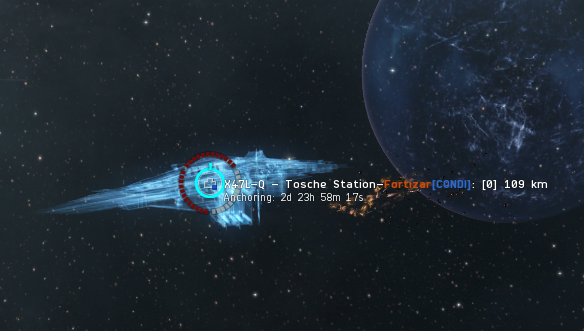 We have a Fortizar on grid for the Keepstar final timer. ISK-wise, we would have done very well had the second Fortizar not been dropped and lost along with so many bombers. That cost us the ISK war according to the battle report I put together. The numbers of players on the battle report are comparable, and the ISK war was in our favor in X47L-Q, even with the Minokawa loss. But roping in all of the events across three systems seems like a more fair assessment of the evening. All of which leaves us waiting for today’s events. 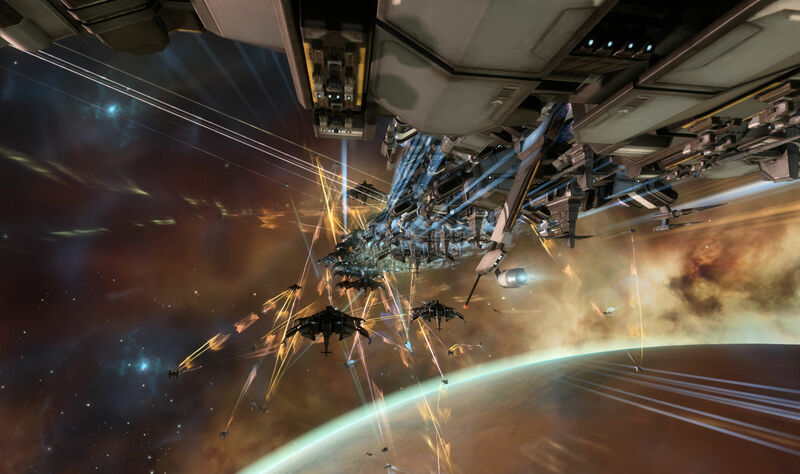 Before this post goes live… the joys of scheduled posts… fleets will have formed up and moved into the jump range or on grid in anticipation of the timer on the Keepstar running down. 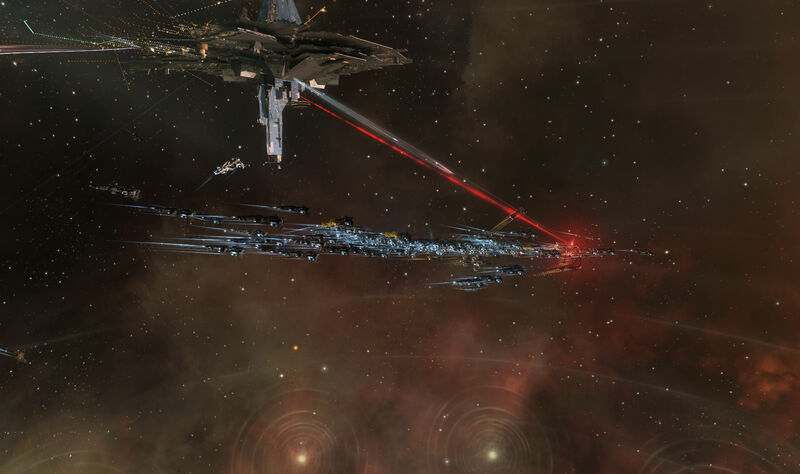 A fight seems almost certain as there was a report at NER on Monday that Pandemic Legion, Pandemic Horde, and NCDot were moving capital ships away from the southern front and their war with TEST and towards the north and the coming Keepstar contest. Before I am likely to even have considered lunch, the fight will have begun as the 30 minute repair timer begins. Time dilation will likely keep any fight that occurs on the field long enough for me to get home from work and peek in… my alt is logged off in the system… and maybe even join a reinforcement fleet. The question is really whether or not this will be another titan bloodbath. Both sides no doubt learned from the last fight and nothing has changed since then, so it will be interesting to see how the two sides adapt to the situation. Anyway, tomorrow’s post will be, at a minimum, the results of the fight. 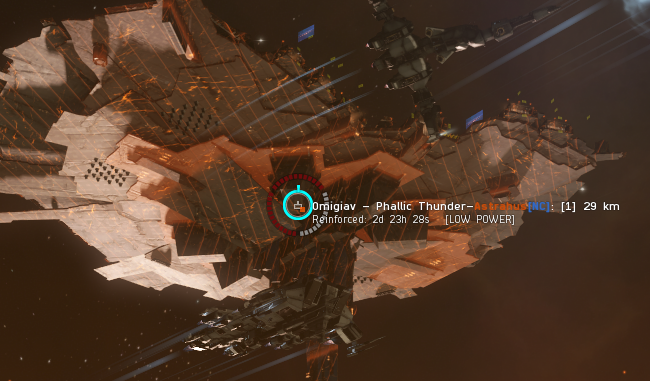 I cannot cover the drama over this Keepstar and then not report the final result. 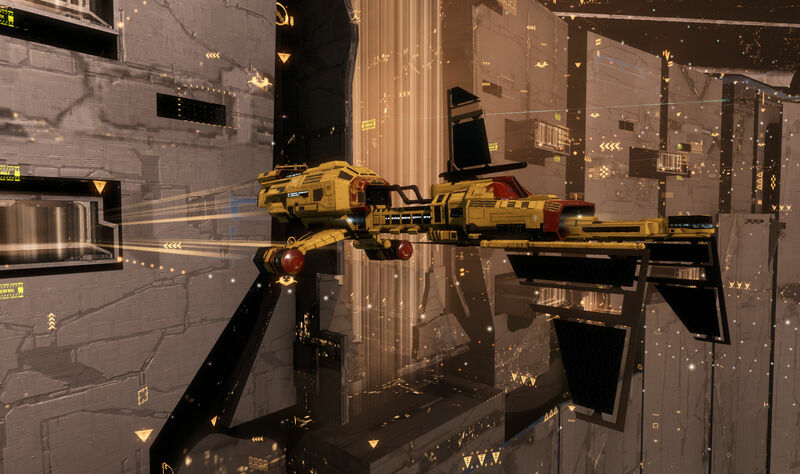 This entry was posted in entertainment, EVE Online, Null Sec and tagged Asher Elias, Black Legion, Elo Knight, NCDot, Pure Blind, Tosche Station, X47L-Q on August 8, 2018 by Wilhelm Arcturus. The event started warming up at about 17:00 UTC, which was 10am local time for me, so I was at work. But I could watch coms on my phone and follow the progress as events unfolded. The source of the conflict was a Keepstar timer, so the trend of the war continues. 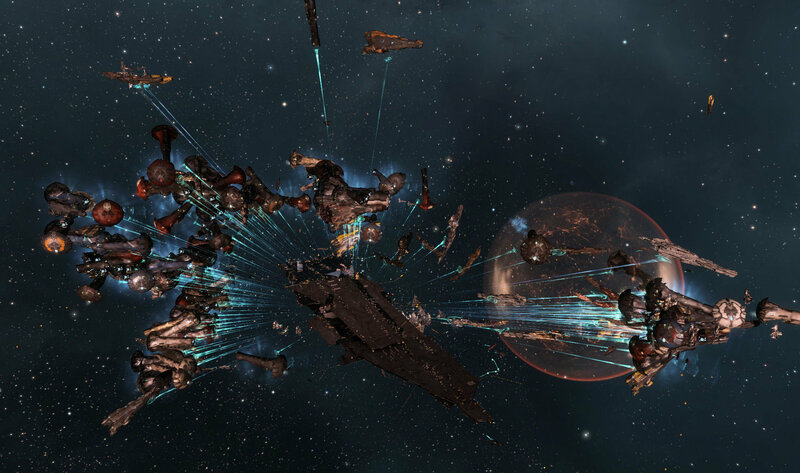 NCDot dropped a Keepstar in Pure Blind in X47L-Q to support its allies facing the Imperium. That system put it in range to support the Circle of Two Keepstar in DW-2TI in Fade. 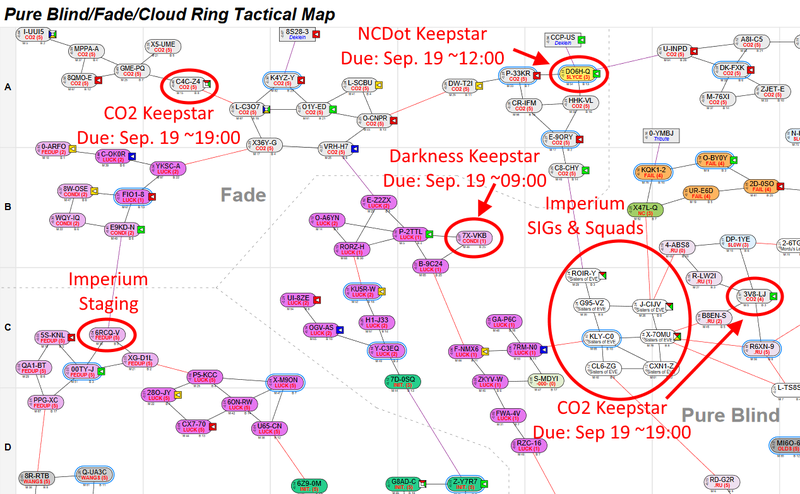 That also put the CO2 Keepstar between it and the Imperium staging in Cloud Ring. 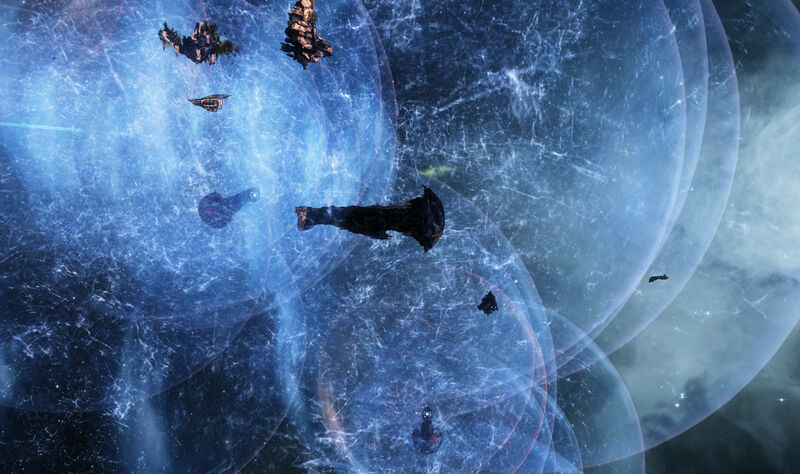 It was, however, quite close to NPC null sec in Pure Blind, where Imperium SIGs and squads have been active since November of last year, and its position also put it astride the route to Tribute, NCDot’s home. The fight itself was over the armor timer for the Keepstar which, depending on who is speaking, either doesn’t really matter or is the most important timer. 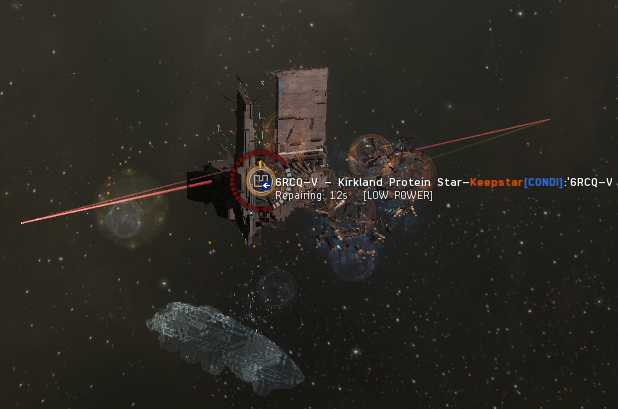 As I have noted before, to kill an Upwell structure like a Keepstar there are three fights that need to happen. The shield attack, the armor timer, and the structure timer. Successfully breaking through the citadel’s shields starts things off and can be done at any time. The following two fights come at specific times. 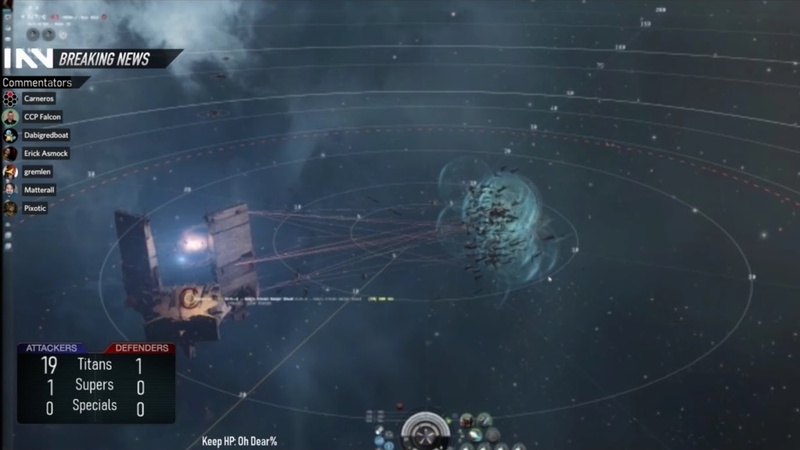 The argument against the importance of the armor timer rests on the obvious; the Keepstar doesn’t die if the defender loses. Very simple. The argument for the importance rests on the idea that if the defender loses the final timer, they are stuck on grid, unable to tether or dock, thus left to the dubious mercy of the victorious foe. You can lose the armor timer and still find safety. Losing the final timer means a need to find an exit. Either way, it wasn’t clear that the fight was going to happen. Both sides were ramping up for it, however there was a DDoS attack on the game yesterday morning that was causing people to get dropped and leaving them unable to log on. This rather ironically occurred about when CCP posted a Dev Blog about issues with the game earlier this year. We are currently working to stabilize the Tranquility cluster and restore connectivity for all those affected after a severe DDoS attack. Sincerest apologies for the downtime and connectivity issues. 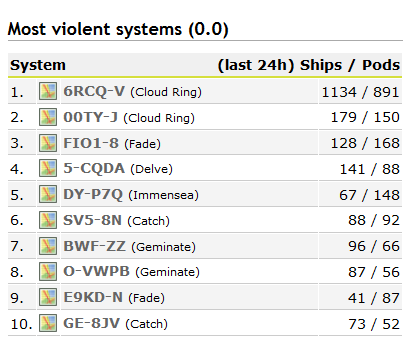 However, the CCP team was able to get that in hand before the timer hit and I saw the pings go out for fleets. Ships were forming up and the battle was on. Cynos went up and ships were bridged in, the system having been captured by NCDot too recently for them to be able to put up a cyno jammer. A couple of people started live blogging things. NER had a thread up on Reddit, while INN put one up on their site. From those I was able to watch things unfold from work. It looked like both sides were willing to drop titans on the field and battle soon became a measure of who was killing the most of the big ships. Things seemed to be going in favor of the defenders on the titan count. While the attackers managed to kill a Vanquisher, a very expensive faction titan, overall the count was going against the Imperium by almost 2 to 1. Some of the Imperium leadership was on record before the battle saying that we would trade two of our titans for an enemy titan and feel we’d come out on top due to the economic power of Delve. Of course, it is one thing to say that and another to see it actually happening, especially when our own faction titan landed on the chopping block. The first Molok to die in the game went down during the fight. As I finished up with work I went to try and slip into the system to see what was going on. By then the live blogs were starting to taper off as those who needed to get up in the morning wandered off. I managed to get into X47L-Q in a Purifier stealth bomber, joining nearly 4,000 other capsuleers as I crossed slowly into the system. I was even able to get on grid with the Keepstar but I hadn’t reduced the video settings to put myself in “potato mode” and the client objected to this strenuously, closing down repeatedly until I gave up and went to have dinner. At some point my ship was in system long enough to get blown up, so op success I guess. But it seemed like I might just be reading about this battle on Reddit. Later in the evening though, when the timer had been won by the Imperium, thus setting up a return match, and the EUTZ players were starting to fade, the call went out for USTZ capital pilots to get online an in various fleets to drop on targets of opportunity. This looked like my chance. I won a Naglfar as a prize for the Reavers race we had way back in December and it has been sitting in a station waiting for an opportunity like this ever since. Nag in the hangar… and of course I bought a SKIN for it! I got in fleet and made sure I was ready to go. My hope was to be able to drop on a titan. And a titan came up as the first target, but I did not “x up” in time to be called for that drop. But another target was said to be coming up shortly, so I undocked so as to be ready to go. I did remember to set my graphics to “potato mode.” I never do that, and I tend to pay for it in big fights, but I like to see pretty pictures dammit. You must suffer for beauty! This time though I wanted to get in and stay in if I had the chance. So I dialed everything down. Gone were the shiny, high res textures, but we were called and told a cyno would be up for us in a moment, so I was ready to go. Then it was up and we jumped, the tunnel speeding along until we started to hit the X47L-Q server, at which point the animation, like everything else, slowed down to 10% speed. That took a while, but people eventually started to land. Our target was a Nyx that had disconnected and had been caught coming back into the game. Then I had to do all the things, get myself in siege mode, target the Nyx, put my heavy warp disruptor on the target because I was close enough and wanted to help hold him in place, and none of the buttons were responding, which is often the norm in these fights. Eventually siege went greed, and the warp disruptor went live, but I managed to toggle my guns on then back off, so I was set to unleash just one volley. But that was the minimum I needed to at least get in the fight. Potato mode Naglfar firing at last! I had to tinker with things. I had started the guns up again when I noticed that I had loaded long range ammo. That made sense because you never know where you’ll drop, but I was close enough to want to swap to shorter range, higher damage ammo. That meant cycling the guns off again, going through the reload cycle at 10% tidi, then getting the guns going again. I made it happen, but all that fooling around probably explains my low position on the damage list for the kill mail. Things were going well enough that I started bumping up my graphic settings a bit, so that wreck is not full potato mode. Tidi even jumped up to 14% at one point, before heading back down to 10%, indicating that the server wasn’t as swamped as it was earlier in the day. But there were only about 2,600 people in system and the defenders were attempting to de-aggress and dock up or jump out. Then we had to wait for the siege modules to cycle down. A dreadnought in siege does a lot more damage, but cannot move or jump out, so you’re stuck there until it is done. I had three minutes left on my timer, which meant 30 minutes real time until I could do something. But coms were enough to keep me entertained. As I mentioned, in the first half of the fight the Imperium was losing two titans for every one we blew up. 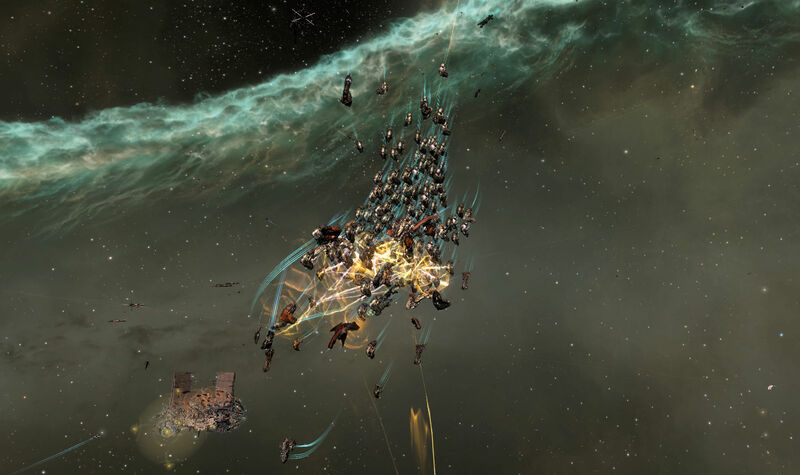 But as the fight went on we kept piling in more pilots at every opportunity while the defenders began to try to escape once the fate of the Keepstar timer was set. The aggressiveness of the Imperium set the titan kill totals back towards an even balance, with the end result being something around 29 titans lost on each side [final score seems to be defenders lost 29, attackers lost 27 in the system], which is the second largest loss of titans in a single battle, behind only B-R5RB. (Infographic about that battle here.) I haven’t seen a final count, and zKillboard is still a bit wonky this morning, but to win the objective and trade titans one for one is a big op success for us. The final titan kill for the Imperium was one that got bumped off of tether by Jay Amazingness then quickly killed by mass doomsday fire. After that it was clean up. There were a few more smaller targets of opportunity, but it was mostly about getting people out of the system. Our group got out of siege and jumped to the extraction cyno lit for us. There were efforts to communicate with people who seemed to have gone AFK on grid with the Keepstar, including trying to find people who might know them personally to call them and get them to jump out. Most ships seemed to find their way home, but there were still plenty of people who got dropped and called it a night. The defenders set up a bubble camp to catch people logging in this morning. As with the bubble camp at UALX-3, there are lots of ships and fighters waiting in that bubble. As I said, final numbers are not up yet. I have heard a few estimates, but nothing concrete yet. There is a nice graph estimating the ISK war up on Reddit. And DOTLAN confirms that a lot of stuff died in the system yesterday and early today. I’ll link any final result posts at the bottom when they show up. And, of course, this was only the armor timer. The final fight has yet to come. So at about the same time next Wednesday everybody can long in and do it all again, this time for keeps. Since I missed out on the main fight, I at least have some links to Imgur galleries of other people’s screen shots, if you are interested. 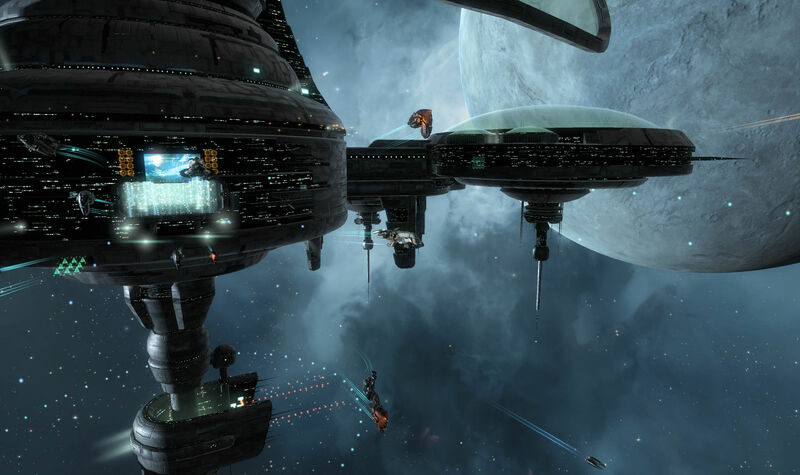 This entry was posted in entertainment, EVE Online, Null Sec and tagged Asher Elias, Imperium, NCDot, Pure Blind, X47L-Q on August 2, 2018 by Wilhelm Arcturus. There is a war on. Or a war is on. Another one. Over the past weekend The Mittani said we would be mobilizing and come Monday INN announced that the target was the northwest end of null sec. 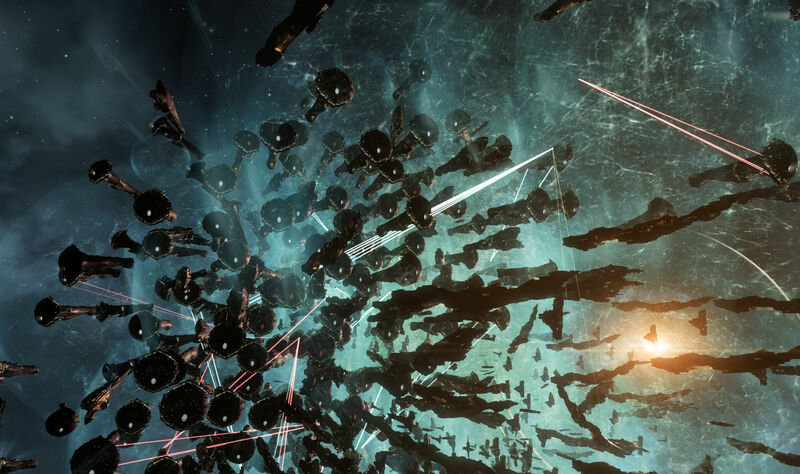 Pandemic Legion had been moving its capital fleets down to the southeast of New Eden to assail TEST, Brave, and the rest of the Legacy Coalition. That move left a vacuum up north, a serious reduction in the number of capital ships the locals could bring to bear on any invader. The Imperium plans to move in and fill that vacuum. Pandemic Legion and NCDot are seen as the biggest threat to the Imperium, so with PL away and just NCDot and the Guardians of the Galaxy coalition left to watch their homeland, an opportunity was seen. Of course, Reavers and a few other SIGs and squads have been up north since at least November of last year hunting the locals and trying to bring them out to fight. We’ve seen change over that time, with Pandemic Horde moving from Fade to Geminate, Mordus Angels collapsing in Pure Blind, and most recently, the resurrected Circle of Two taking up the space in Fade. The locals have occasionally put some effort into trying to suppress our operations. But more often than not they avoid us, leave our structures alone unless we’re on a break for a couple of weeks, and only form up for final timers on their structures or when we’ve got another Rorqual tackled. I am sure there is a not unreasonable idea that if we get bored we’ll go away. But Reavers live to shoot structures and do things that seem boring, knowing that it can all lead to a fight if we persist. Anyway, once Imperium forces were on the move from Delve northward the first objective was to setup a deployment base. 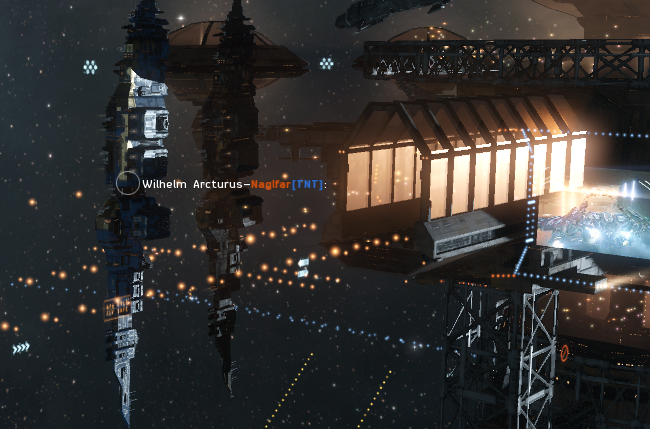 So a Keepstar citadel was dropped in the system 6RC8-V in the Cloud Ring region. The location is right on the boarder with Fade, where Circle of Two lives. If we were allowed to plant a Keepstar there, that would put them under a hostile capital and supercap umbrella. We could drop forces on CO2 which they would be hard pressed to resist. 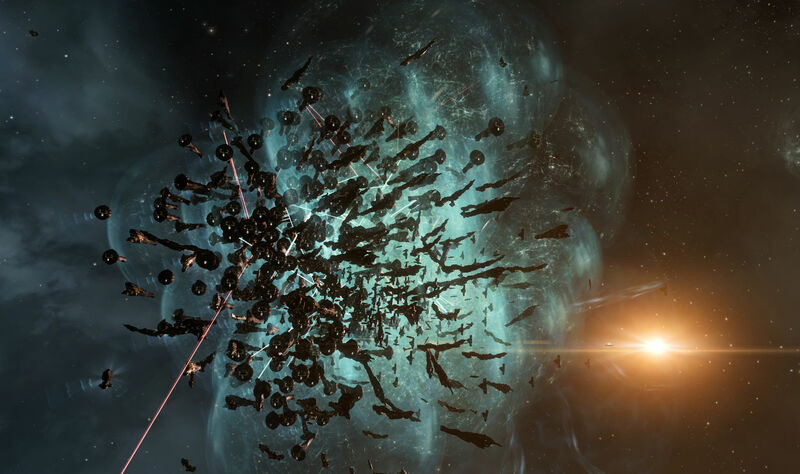 It became vital that the locals kill the Keepstar as it came online. That is the point of vulnerability. After it is online and can be armed it becomes much more difficult to take out. So a big battle was brewing. Fortunately for me this was all set to happen in the evening my time, which is the middle of the night EVE Online time. I was already up in the north so planned to go with the SIGs and squads deployed there. I did, however, fly an alt over to 6RCQ-V and put him on grid with the Keepstar just to make sure I could keep an eye on what was happening there. And that turned out to be a good thing. While fleet after fleet was getting called up and ready to move from Delve and Fountain to the fight, we undocked to take care of other business. 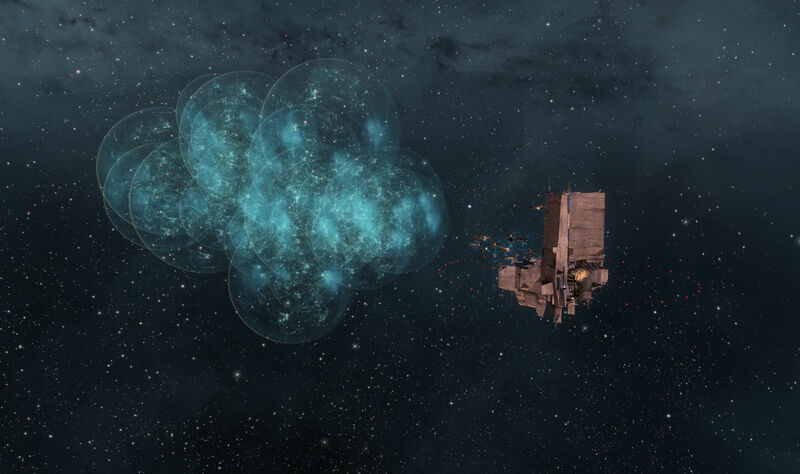 While all eyes were on the Keepstar our fleet ran out and dealt with smaller structures. We covered a Raitaru on grid with the hostile Keepstar in DW-T21, CO2’s capital. It was in its final timer and we were there to make sure it got through that so the hostiles would have to start over reinforcing it. We also reinforced a CO2 Astrahus on that grid, giving the locals something to form up and defend later. We then started in on a CO2 Sotiyo, which was gunned, hoping to reinforce that as well. The Sotiyo was going to take a while however, and before we got even half way done there we were called off to help support the main fight by setting up to block hostile reinforcements. We managed to knock-off a Gila and a few bombers while doing that. We never actually went into the 6RCQ-V system. That was probably a good thing, because in 6RCQ-V things were happening. As the timer counted down on the Keepstar a cyno went up and the Imperium supercap fleet began to land on the structure. And then another cyno went up and a second group started landing. 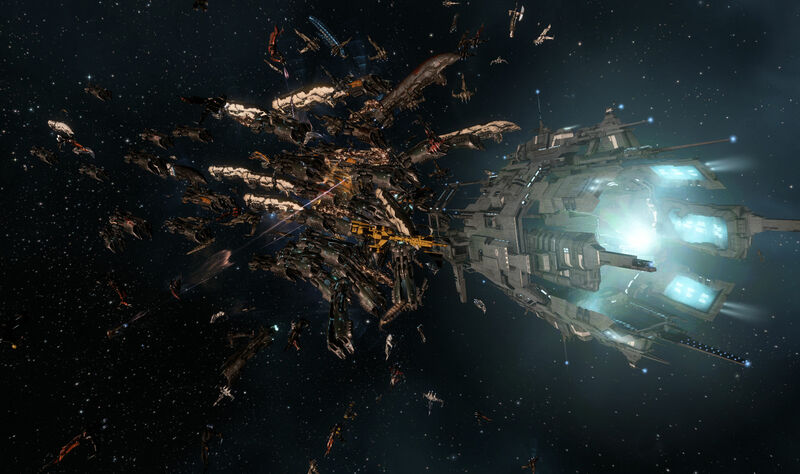 And then a third cyno went up and then a fourth as super capitals arrayed themselves in and around the Keepstar. There ended up being a lot of titans on the field, possibly as many as I have seen on the field since B-R5RB. What is hard to see is the super carries mixed in with those fleets. They are big ships when compared to subcaps, but they seem so small when mixed in with titans. Meanwhile the locals were forming up as well, with CO2 dropping a Muninn fleet into the system. Likewise Darkness and other GOTG groups formed up an Ishtar fleet and was circling the gate to Fade as they waited for the timer to count down. More and more people kept piling into the system, but things were not too bad… and then the shooting started. My alt got knocked offline a few times during the fight, but things were not as bad as during the 9-4RP2 fight, the so-called “million dollar battle” where getting back in was pretty much impossible. If your client died… and I could see my client grabbing more and more RAM until it expired… need a 64-bit client… you could get back in with a bit of patience. But this fight wasn’t as hyped as the 9-4RP2 battle was, and we were well shy of the 6,142 players in system that earned that fight a Guinness record. The peak I saw when my alt was in system was just past 3,800. 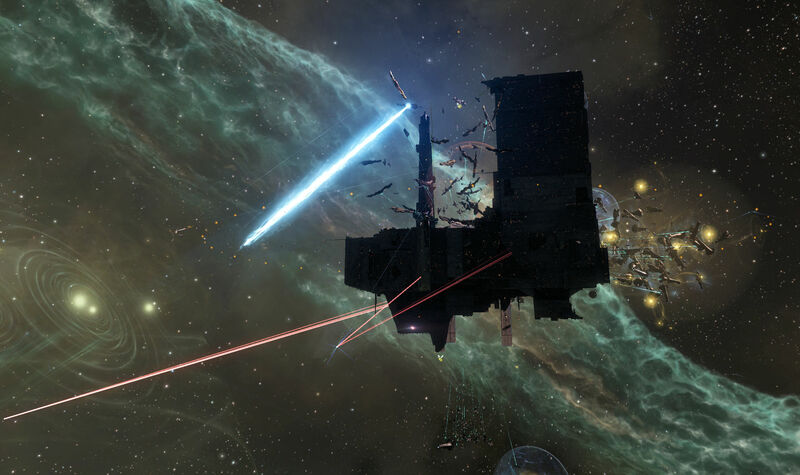 The fight itself involved the hostiles using Gilas and Ishtars and some long range fit dreadnoughts to stop the timer and start chipping down Keepstar. They were successful for a while, getting enough damage on the citadel to stop the timer with 10 minutes of online repair to go and they did break it down to 85% of its hit points. But the weight in numbers was against them. While they got out in front of things, the titans and super carriers had been joined by a dreads and subcaps who chipped away, cutting back the attackers until the repair timer started up again and the outcome became inevitable. Once the timer started up again the prospects for the attackers dimmed and they began to extract. Tidi was still bad though, but my main was on the other side of the gate in Fade trying to catch some hostiles coming and going. 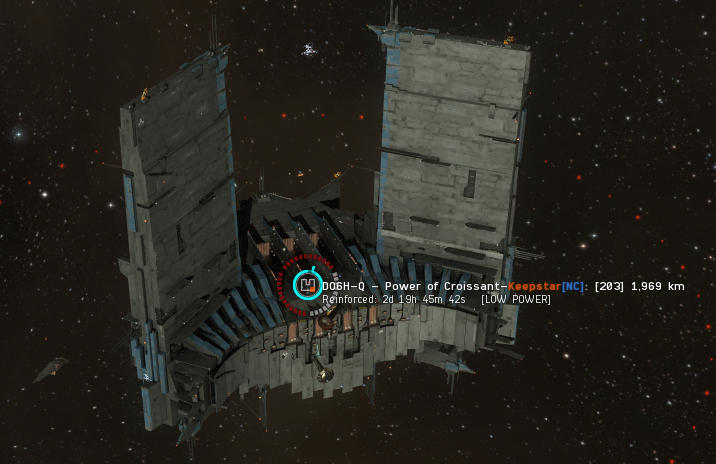 Asher, whose ongoing Kirkland Protein Bar meme helped name the Keepstar (though the name changed a couple of times), was not there to the Reavers. He is now the Sky Marshall, the overall commander and coordinator of fleets and in charge of strategy. I am glad he has an opportunity to move all the pieces on the map. There are not many games where you can drive the actions of literally thousands of other players. But I do worry a bit as the position tends to burn out those who sit in the Sky Marshall chair during a war. I would miss him if he left the game. Zed Starshine was leading us for the evening. He has led us on some ops before. He got us out to our targets, then to block the comings and goings of the locals, and then the hell out of the way when the hostiles packed up to head home en masse. Our little fleet wasn’t going to stem that tide, we’d just be a snack for them on the way. So we got home early and never had to face any tidi. The capitals and super caps didn’t have to head home. They were home. They could dock up and be ready for ongoing ops against CO2 and GOTG. The fight itself saw more than a thousand ships blow up. 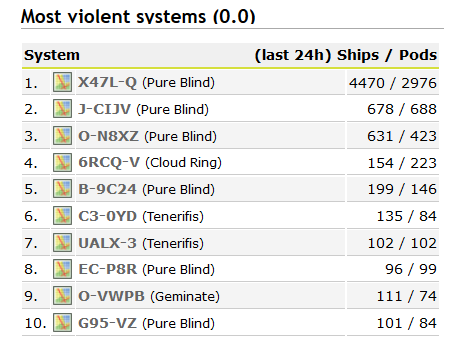 Most of those ships belonged to those attacking the Keepstar, as the battle report indicates. The ISK count wasn’t that big however, barely a titan’s worth of ships destroyed. 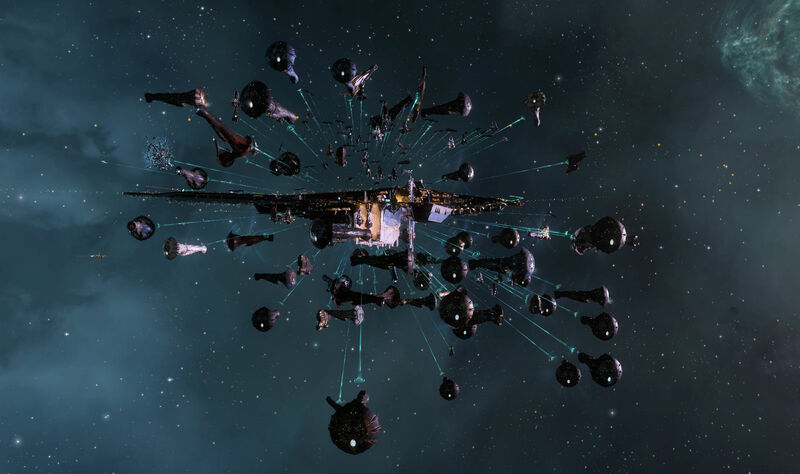 TEST and Brave, who are now allied with us against PL and NCDot, sent forces north to join in and cover the Keepstar coming online. But once that Keepstar was online the situation in the north changed. 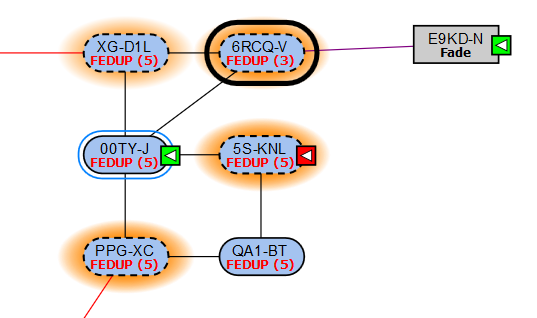 6RCQ-V is close enough to CO2’s capital and Keepstar in DW-T2I that the super fleet can just take the gate into E9KD-N and then jump straight there. 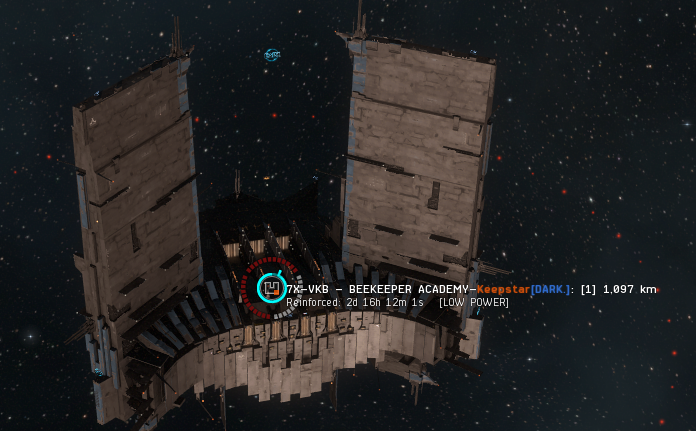 And you can bet that their Keepstar, and all of their structures, are clearly in our sights. If they stand there will be more fights. Rumor has it however that they might pack up shop and head to Venal. There are still NPC stations there, places that cannot be destroyed. That is, however, just a rumor at this point, as is the rumor that Slyce might join them. But if they hang around there will be more titans on grid and more battles over structures in the weeks to come. Maybe even another node killing, 6,000 player, “million dollar” battle. 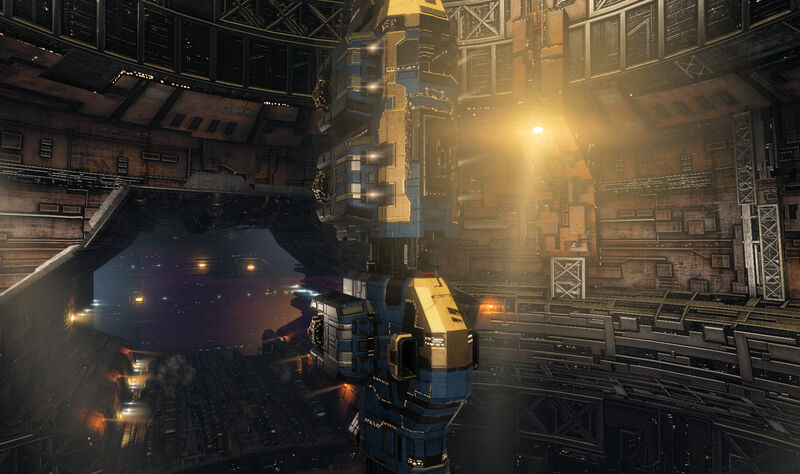 This entry was posted in entertainment, EVE Online, Null Sec and tagged 6RCQ-V, Asher Elias, Circle of Two, Guardians of the Galaxy, Keepstar, NCDot, Reavers, Zed Starshine on July 12, 2018 by Wilhelm Arcturus.